Foundations – New Premium & Mass Market Choices! With the cosmetic market constantly bringing new versions of foundations and concealers to our attention, it can be really hard to know what is out there for you! A good foundation can vary in price from a mass market foundation such as the new Rimmel Stay Matte Liquid Mousse Foundation retailing at €7.99 to a premium brand such as Clarins Extra Comfort Foundation which retails at €42.99. These products are tailored to different skincare needs and work affectively for different ages and skin types. The Rimmel Stay Matte Liquid Mousse Foundation is a great product, especially for those with an oily skin type as the matte effect really insures that this product is long lasting – I tested it by wearing it to the gym which really showed it durability! The product stayed on well after a lot of sweating and running around which made me think it’s a great product for a night out on the tiles!! 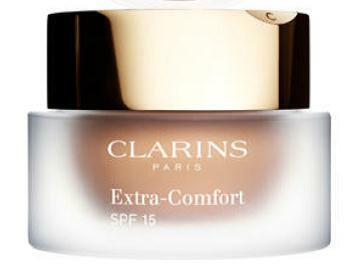 The Clarins Extra Comfort Foundation is a silkier foundation which gives a great shine and lightness to the skin on application. I found it covered the dark circles under my eyes well and my skin still felt soft and moisturized after wearing this foundation for the day. While a good foundation doesn’t need to cost an arm and a leg, good cosmetics are an investment in your skin as well as having a regular skincare regime! I personally prefer the Clarins foundation in this case as my skin tends to be slightly dry and this helped keep my skin conditioned as well as covered but I would recommend the Rimmel Stay Matte Mousse Foundation for oiler skin as its staying power is really great!